This episode just shows how a variety of factors can result in victory or defeat. It isn’t just what quirks the characters have. The result can depend on how quirks match up, mental condition, and strategy. 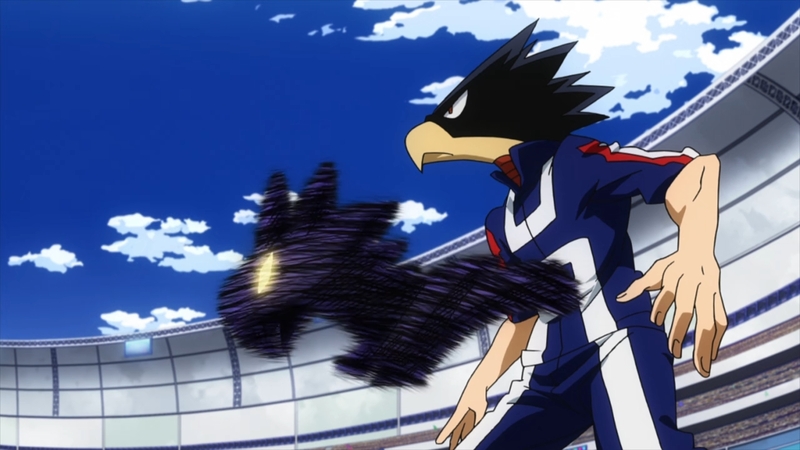 I don’t think anyone would have predicted such an easy win by Tokoyami over Momo. Maybe most expected the win by Mina, but in general this first round had some interesting results. They did have to push the pace a bit in order to cover this many first round matchups, but you do get to see how they played out. And of course it ends right where it should. 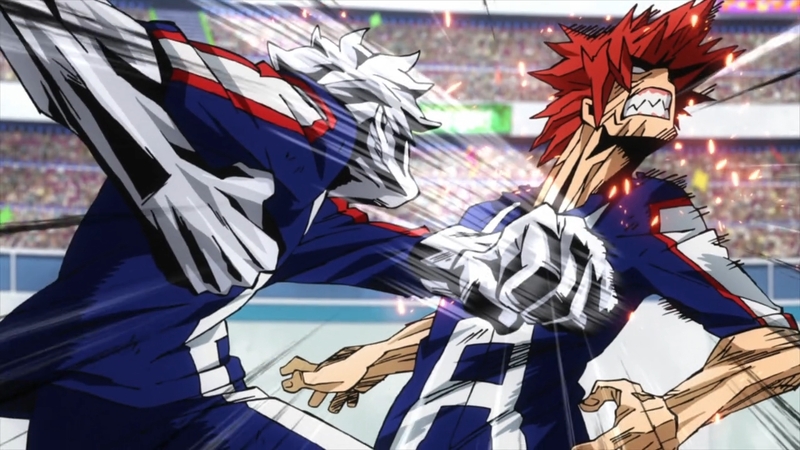 Just setting up what is the next big match of this event in Ochaco vs Bakugo. Certainly it looks like a matchup that would be as one-sided as Todoroki vs Sero, but we’ll have to wait and see. I think Momo’s match showed how important it is to try and stay calm. Nerves can really turn a relatively even matchup into a one-sided affair. Logically she knew that Tokoyami would attack quickly from the start and what kind of problems she might have. But the match starting shocked Momo out of her thoughts and never found a chance to get her footing. Literally she just couldn’t keep track of where she was standing and was out of bounds before she knew it. Honestly it had to be incredibly shocking for her. She was done before having any chance to counterattack. Of course credit to Tokoyami. He knew during the day Dark Shadow’s offensive ability was limited. So he went full out from the start and didn’t give Momo any chance to think. If the match went on too long then Momo’s ability to create all sorts of objects would start to tilt the balance. Though I’m sure he felt for her since the shock and disappointment was clear. 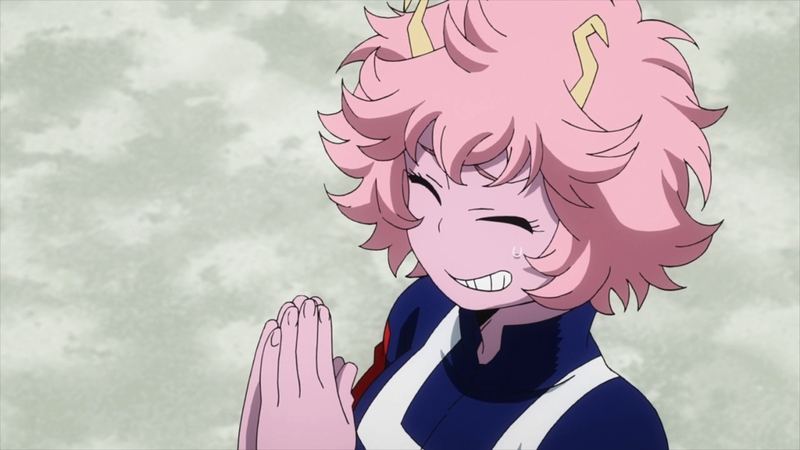 She is another student there under recommendation like Todoroki and was simply defeated. There was a lot of interesting matchups decided by bad decisions. I thought Kaminari had a decent shot in his match. He certainly went with a strategy that was hit or miss, and he missed hard. No doubt by going all out he could beat a fair number of people instantly. But because she was able to defend his attack it was a quick and immediate defeat. There are some quirks that don’t match up well, but I agree with the audience that he could have done better. Keeping the wattage low and testing at her defence might have given him a better shot at avoiding her vines. 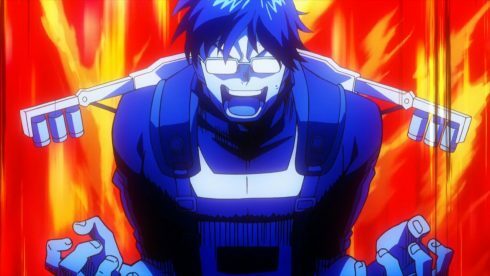 Honestly…I just felt bad for Iida. That was a drawn out embarrassing match. Of course you can only feel so bad since at least he gets to move onto the second round. He’ll get another chance to show off his skills. You have to give Mei credit. She has her own specific goal of appealing to support companies to get a job down the road. And she spent that entire match showing off her work. She’s a bit blunt in terms of advertising, but it works. In terms of fun I’d put the Mina match up there. It was pretty simple, but enjoyable. She showed off her knowledge and mobility. If she felt bad about her simple role in the Cavalry Battle, this was the match that let her show off what she can do. Strong mobility and she was able to settle the match in a couple moves. And we move onto the next big match. 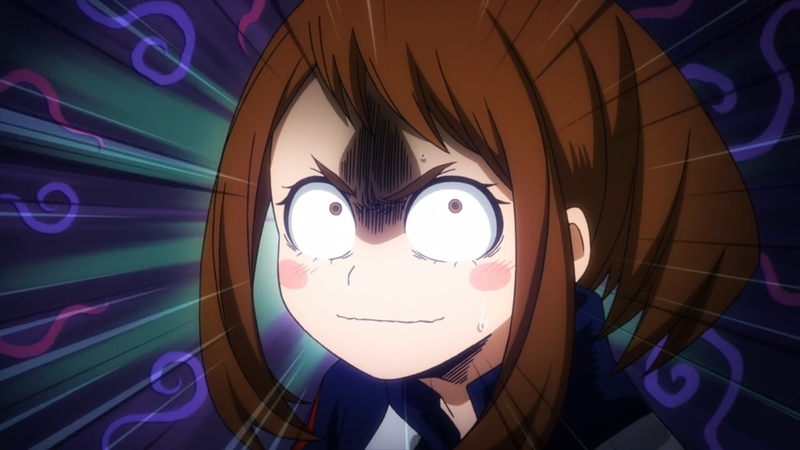 I’m excited to see Ochaco vs Bakugo. This is the match that seemed the most one-sided when first announced. But I think the one strong point for this season is that they are willing to make matchups like this. They are trying to become heroes and should be ready for dangerous situations. It’s the same occupation no matter your gender, quirk, or personality. I can respect that Ochaco for wanting to do this without any tips. Of course she could rely on Deku and he himself relied on Ojiro’s advice. But, pride is something that matters. I don’t think she should feel bad for teaming up for the Cavalry Battle, but she does feel a bit embarrassed. I can respect her not wanting to just be someone who relies on others, but who others can rely on and achieve her goals. 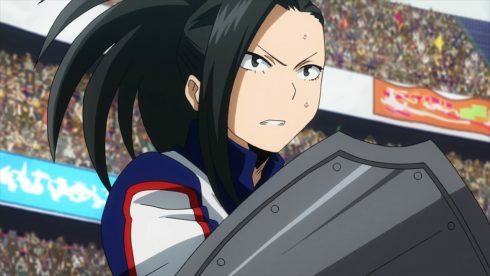 Now she’s up against Bakugo and looks serious. She is looking to take that step forward towards her long term goal of supporting her family. Not sure what Bakugo’s mindset is for this match, but he better not be looking past her to Deku and Todoroki. He does seem to ignore those that he isn’t interested in and that might burn him in this case. 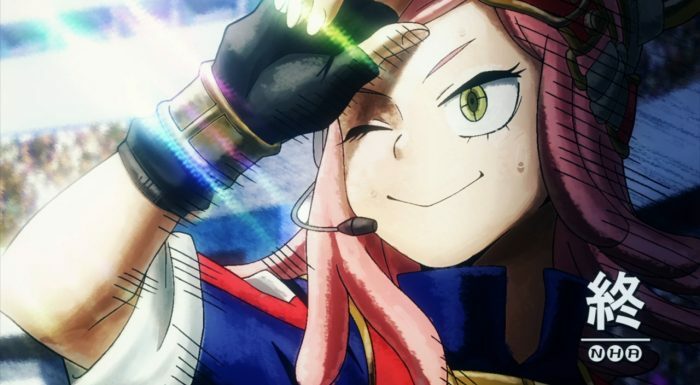 And I am curious what strategy Ochaco employs without relying on Deku’s data. I can’t wait to see how next week’s episode plays out. Here’s hoping for one of the best episodes of the season. An older member at 25, yet a new addition to Anime Evo. Recently graduating University and in the difficult point between school and a true career. Anime being a salvation and blogging a good way to put all those hours of writing essays to some use. Enjoys talking about series, yet not taking on so many that the quality dips. A Canadian who enjoys his anime and hearing what others think about the series he enjoys watching.